What are they up to ? There is a whole lot of planning going on, with a conspicuous lack of public engagement. Not many holes dug yet. 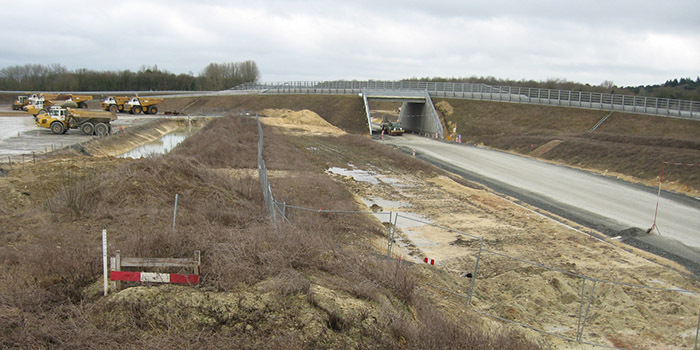 See HS2Watch for construction site information (when available), or to make a complaint (to HS2). The Chilterns & South Bucks website lists schedule 17 applications recieved, and other local information. Works should be carried out in accordance with the Community Engagement Strategy (which has lots of nice pictures, so thats OK), and the Environmental minimum requirements, which includes the Code of Construction Practice . The Government has appointed an Independent Construction Commissioner (interim incumbent - Garth Epps) to assist with complaints arising from the construction of the railway. NB Any complaint must be made to HS2 in the first instance - see above. "The Commissioner’s role is to provide independent, impartial decisions. This will be important in ensuring a fair and balanced approach to cases that cannot be resolved through the normal complaints process. The Construction Commissioner will also be able to provide advice to members of the public on how to complain." He has produced three reports - in November 2016, April 2017 and September 2017 . The LTMP is being created by the Traffic Liaison Group, chaired by the HS2 (Central) traffic manager (Chris Casey). Members are from Bucks, Oxon & Northants CCs + Transport for Bucks & Thames Valley police. Some minutes have been distributed to local councils (who asked for them), but none are published, as far as I am aware. The LTMP will be based on the Phase 1 Route Wide Traffic Management Plan. This makes no reference to traffic displaced onto alternative routes as a result of HS2 construction - evidently not their problem ? "Everything will be lovely, where reasonably practical"
"The Design Panel will provide independent advice and critique of the development of HS2 to help achieve its Design Vision." Radstone and Helmdon disused railway. In response to an FOI request, these documents were not disclosed, since consultations are ongoing. so they are presumably going to build the railway somewhere else. The draft guide is now available (Dec 2017) - see Chilterns AONB Review page for details. "... provide an overview of the High Speed Two (HS2) Phase One works in each local authority area." Contains a brief summary of the Environmental Statement, a table of dates for "Schedule 17" (planning) requests, and a reissue of the construction maps. See this page for the full set, or download (pdfs) for Aylesbury Vale, Chiltern District, South Bucks . What can Bucks CC do about it ? Even as a 'Qualifying Authority', Bucks CC can do very little to regulate HS2 construction - see this presentation. The works which have been authorised ("Schedule 17 Approvals") are listed on the Councils HS2 Information website.